Many studies particularly from the European Union have been published on the e-mobility problematics. It is clear that the French e-vehicle fleet is not really in advance compared to the northern European countries. With this assertion, we probably have to set aside the development plan of the French Post Office « la Poste » for e-vehicles, which represents by himself the most important efforts in this field and has to be mentionned. The offer for delivery e-vehicles has never been so important in Europe, with at least 38 manufacturers (European, American and Asiatic) and 58 models, from the van to the HGV. The analysis fo the situations in Northern Europe clearly shows that the development of e-vehicles for goods transportation is closely linked to a strong support of public and local authorities. 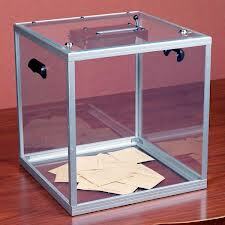 Many incentives, financial or non financial, have been proposed. I will expose a few of them. 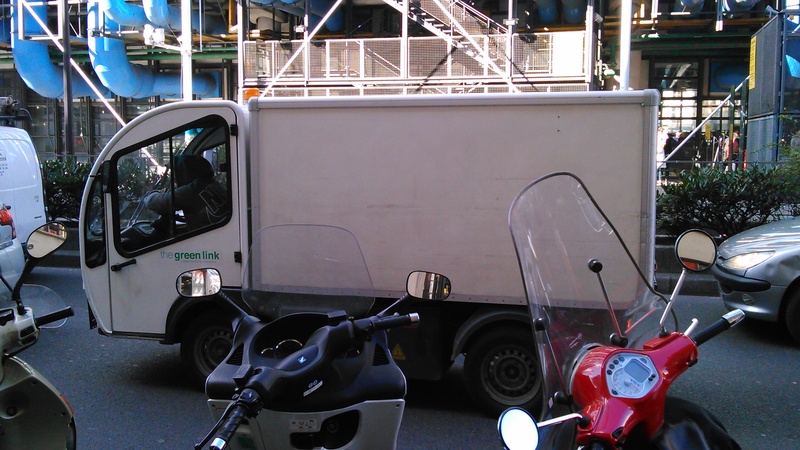 In Paris, as the photo shows, having a delivery e-vehicle does not bring many advantages. Despite the fact that they usually have adapted sizes, they drive in the middle of the traffic jams. Why shouldn’t we accept theses vehicles in the bus lanes whereas we accept other vehicles such as taxis, which do not bring much environmental advantages ? E-vehicles represent a major financial risk for an operator, because of the cost. If this vehicle makes in a day the same number of deliveries, what is the advantage ? It is therefore high time that the good intentions for the development of e-mobility shown by the different authorities give place to incentive measures, in this case not necessarily financial, but high enough to help the operators to make this choice. It is now the right time to expose positive measures enabling the delivery operators to make the choice of e-mobility. We must not mix e-mobility up with immobility ! https://www.logicites.fr/wp-content/uploads/2015/07/logo_website.jpg 0 0 Jérôme Libeskind https://www.logicites.fr/wp-content/uploads/2015/07/logo_website.jpg Jérôme Libeskind2014-03-06 15:02:252014-03-06 15:02:25E-mobility or immobility? Economy sharing, crowdsharing , the words do not miss for these new patterns of consumption, more solidarity-based and enabling to better share resources, cars, bicycles, apartments … Urban freight , like other sectors of the economy , does not avoid this societal change . Several aspects seem interesting to precise. First, urban freight requires better share the public road . For decades, the road was firstly reserved to cars, but also delivery vehicles, sometimes double-parked for many reasons, and additionally to public transport and pedestrians. Then arrived in the city trams, bicycles, motorbikes and above all a desire to better respect the pedestrian, often inhabitant of a city center that we want to become more attractive. One aspect of better urban freight practices appears through road sharing . But not in any conditions. This sharing must be positive, that is to say allow pedestrians to have a larger part of the public space during times of intense activity (eg late afternoon and Saturday ), allow the delivery vehicles to do their job with maximum efficiency and minimal disruption (for example during the morning delivery hours), allow other vehicles to drive or park normally. This involves regulation, but especially dialogue. 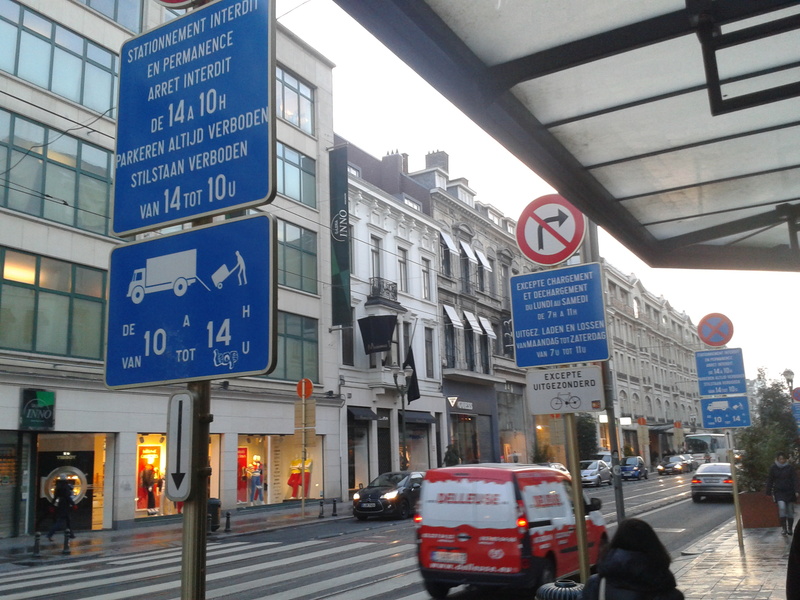 A good example of this road sharing was developed in Brussels, on Avenue Louise. This successful initiative was presented at the Bestfact workshop 29 and January 30. 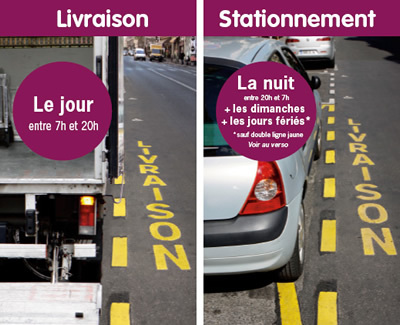 The city of Paris has also successfully adopted this idea of ​​sharing delivery parking spaces by splitting the 10,000 delivery parking places in « 100% delivery » and « shared spaces ». These shared places allow car drivers to park during night and on Sundays and delivery activities to use these places during the day . A second aspect of sharing is today theoretical, but certainly intends for a big future. Urban freight requires surface areas to consolidate flows or change transport mode. The real estate facilities in the city have a very high cost which makes difficult the implementation of urban freight solutions. These premises are used only a few hours in the day, often early in the morning ( until about 9am ) and in the evening. Now imagine sharing solutions, allowing these premises to be used during the day for other activities and thus share the costs. For example, could we imagine that these premises are used in the morning to sort parcels, then at 10 am to any social activity (sports for example) and find again at 4 or 5 pm a logistics activity? Finally, another idea of sharing is delivery. Some crowdsharing experiments have been made, allowing private individuals to deliver parcels or grocery shopping on behalf of other individuals. cf article in this blog about the experience Myways in Stockholm . Walmart is also very interested by this idea in the US. So imagine urban freight sharing !